Hello Monday!! 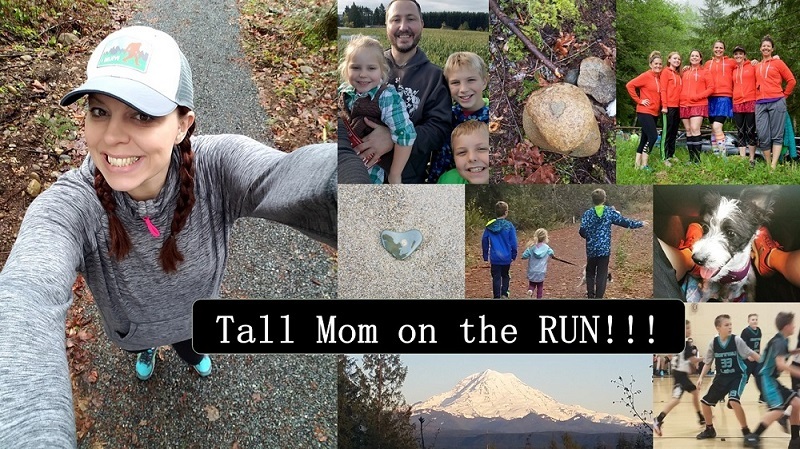 Welcome to the new Tall Mom Bloggy Pack Members!!! 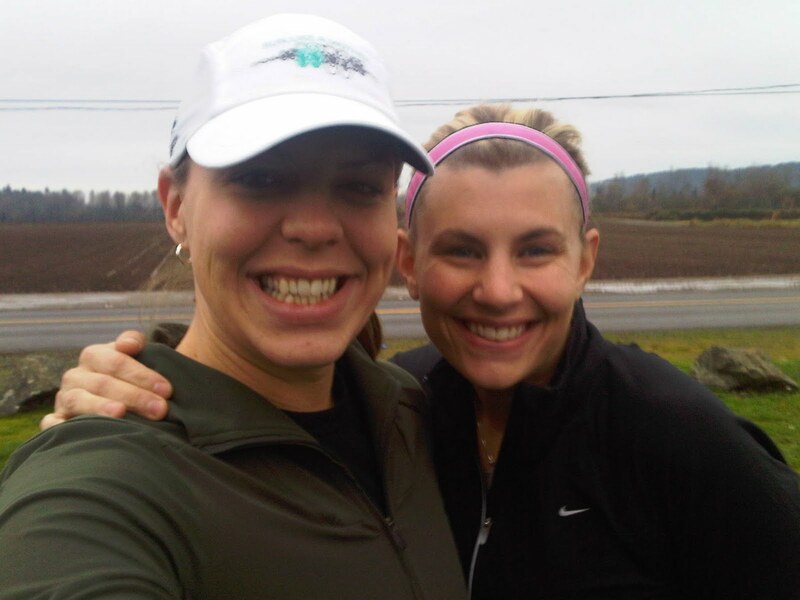 The Amazing Jill at Running 2 Sanity HERE posted about how CLOSE she was to her 1,000th mile for the year. I had plans to run about 10 miles with Tammy and Heidi so I invited Jill via text, it was a bit early and out of the way, so I changed plans to run with Jilly. And I thought it would be AWESOME to run 10.26 to get to 1,000!!! Me and my Little Buddy Jilly... I was a little tired but found my energy once I saw Jill's smile..
She grew :) It was a chilly day, but the cool air felt nice. I forgot my Garmin in the car so I let Jill be the watch woman.. it was nice not to have to worry about speed, distance, time, etc. The miles passed quickly, always do with good friends. I did not once feel tired. The run was truly EFFORTLESS... Like our legs were moving and we were not paying any attention. 10 miles is by FAR my favorite distance. 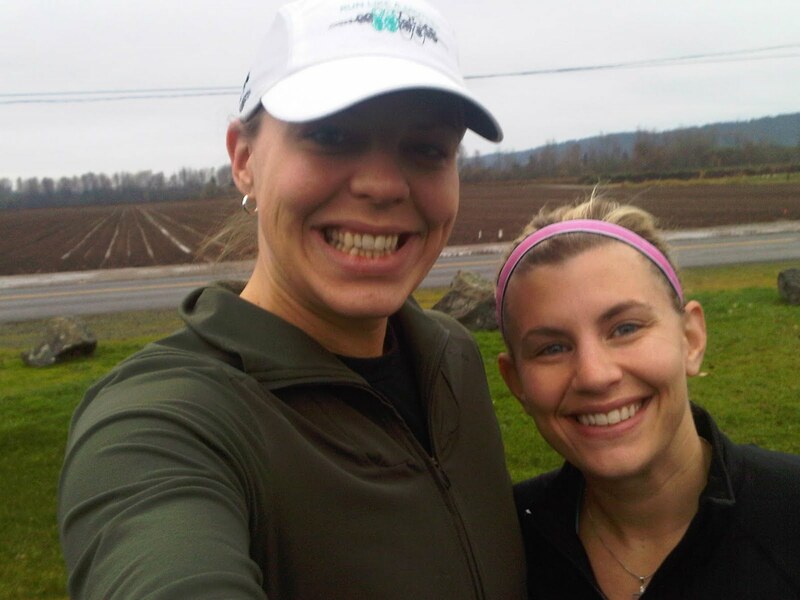 I would run 10 milers every weekend, I LOVE IT!! Other than a guy walking 2 dogs who flipped off the car that did not let him cross the road (really buddy?? ), there was not too much notable on the path. We had planned to reward our efforts with STARBUCKS, always nice to know there is a reward at the end.. We hit 10.3, gave a quick high five and a nice hug!! CONGRATS JILL!! Jill had a steamy forehead, I joked about writing 1,000 on it, until she came up with this GEM to mark the occasion.. I truly hope you can see the 1,000 in the photo.. We are total hams and we like it!! Starbucks was packed so I scoped out some COZY chairs while Jill got the warm drinks and much NEEDED water. What a WONDERFUL way to start the weekend..
How was your weekend? Anything fun happen?? You guys really are the cutest!!! Glad you had an awesome run with your buddy!! Awesome pictures. You guys are so funny. My weekend was low key. I did my last long run before the seattle marathon on Friday so now I have 2 weeks of taper madness. Congrats! Starbucks is always a great goal! And how exciting for Jill that she ran 1000! Great job girls!! Your fb pep talk inspired me to go for 10 miles this Sunday! Thank you!! Sounds like so much fun - and what a great way to celebrate 1,000!! You guys rock! Hope the rest of your weekend was awesome!! Congrats to you and Jill on getting Jill her 1,000 mile! I did have to look at the picture more than once when I saw it on facebook to see the 1,000. Very creative!! The weekend was pretty good here other than finding out both the kids had strep throat. Have a great day! Love the photo... love it. My weekend. We got to meet some of the great people my husband works with and their families. So nice to have a "cocktail party" that included activities for the kiddos to mingle too. I got a 2nd place age group finish in a 5K that I really wasn't that prepared for. Makes me want to work harder now. It was the spark I needed. LOVE the pic! Are you up to coming across the country to cross my 1000 off my list? I have 25 left! Lol! That pic is priceless! Congrats to Jilly and her 1000! 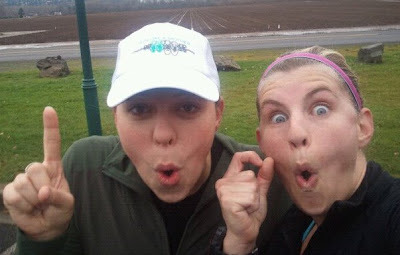 I need friends to run with :( Gotta work on that for 2011! I love the idea for 1000. So funny! I had a great weekend with GIRLS NIGHT...which is always much needed! so fun! I'm thinking about joining in the 1000 mile goal for 2011. SO MUCH FUN! Thank for getting me to 1,000. You are such a dear friend. Had a blast and can't wait to do it again. Always great to be able to chat and catch up! LOVE the 1000 picture! too cute! Glad the 10 felt great! Flipper-offers are SO juvenile. ha ha! Love you two!!! Really, the 1000 is so awesome!!! SEE YOU in a FEW WEEKS!!!! That is Ours, what is Yours?